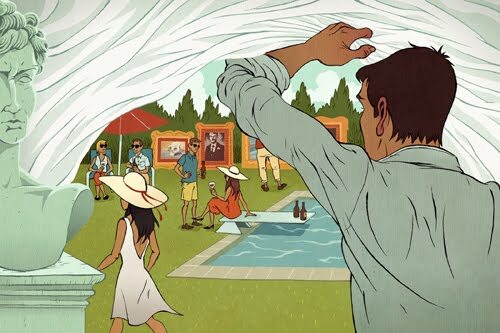 This is a spot I did for last week's New York Observer about the Bridgehampton Biennial, which is being thrown in the backyard of a farmhouse to poke fun of the other fancy art fairs in the Hamptons. Read the article here. Thanks to awesome AD Ivylise Simones.